Home > Wedding & Event Decor > New Arrivals! If you're here today, you need to revisit this page tomorrow, too, because we add great new event decorations and party accessories every day. Our expert in-house staff members at ShopWildThings are the go-to authorities on event and set Decor for major movie studios, hit television shows, event planning companies and our very savvy individual customers. We offer the latest trends to Decorate weddings, intimate parties, grand galas and elaborate stage sets. We thrive on challenges, which is why we have been given five-star ratings from our customers since we opened in 1989. 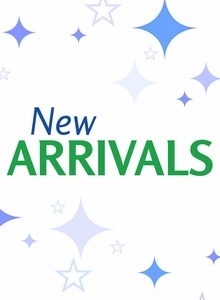 Brand New Items that have arrived in the last couple of weeks are housed here! Flowering Wisteria Arch � Cream � 5.5 Feet Tall x 3 Feet Wide � Create Heart Using 2! Flowering Wisteria Tree � Fuchsia Pink & Violet � 11.8 Feet Tall x 8.6 Feet Wide "Sideswept" � Create Arch Using 2! Flowering Wisteria Tree � Purple � 7 Feet Tall x 6.5 Feet Wide "Sideswept" � Create Arch Using 2! COMING SOON! String Curtain Ivory 3FT x 6FT - Polyester & Cotton "Nassau"
COMING SOON! Real Crystal 5 Cup Candelabra "Winterhaven" - Over 3 Feet Tall - Taper or Pillar Candles! Tall Glass Candle Holders - Set of 3 - Long Stem - 8", 9", 10 1/4"
COMING SOON! String Curtain Carmel Brown 35 IN x 15 FT - Polyester & Cotton "Nassau"
Real Feel Flower Ball - Foam Rose - Pomander Kissing Ball - 6" Pink - BUY MORE, SAVE MORE! Real Feel Flower Ball - Foam Rose - Pomander Kissing Ball - 9 1/2" Pink - BUY MORE, SAVE MORE! COMING SOON! Candle Holder - Cylinder Beaded Real Crystal - "Prestige" - Crystal Gem Votive - 3" Silver - BUY MORE, SAVE MORE! COMING SOON! Beaded Real Crystals Candle Holder - Tulip Shape - "Prestige" - Silver 16"
Table Overlay, Backdrop - Gold - Sequins - 72" x 72"
Our silver metal chain beaded curtains proved an instant hit with customers like HGTV television designer David Bromstad, who told us he, in his very words, "loves, loves, super-loves" ShopWildThings. Each curtain features 68 strands of chain. It's easy to adjust to shorter lengths from the standard 74-inch length. Bromstad relied on our expertise for a custom installation at the House of Rock in Santa Monica, California. Click on our photo pages for his layout. Our recent introduction of the Coventry decorative metal tree dusted with silver glitter sparkles with clear, faceted crystals draping from beautifully designed branches. It's an elegant decoration for big weddings and galas. Our amazing finds are big and small. One new favorite is our delicately crafted eyelet lace paper lanterns that would look just as adorable in a little girl's room as at a posh bridal shower. Our environmentally friendly all-natural special event decorations are beautiful ways to celebrate indoors or outside. We are delighted to introduce our new line of sparkling crystal goblet candle holders. Our retro disco ball centerpieces are big hits, too. We ship free on orders over $100 to most U.S. destinations. Subscribe free to our e-newsletter for special deals and the next hot trends.